Hang this gorgeous DIY Boxwood Wreath on your front door for Fall! 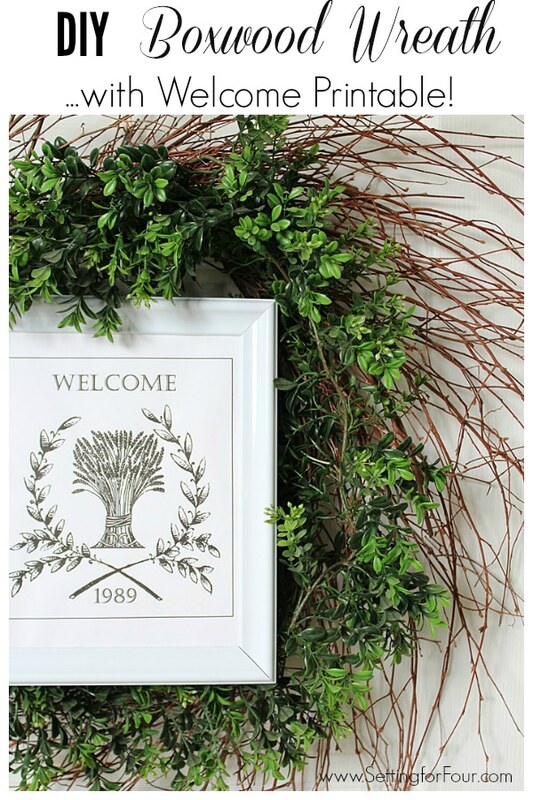 DIY Boxwood Twig Wreath with Framed Welcome Printable – easy to make and budget friendly! 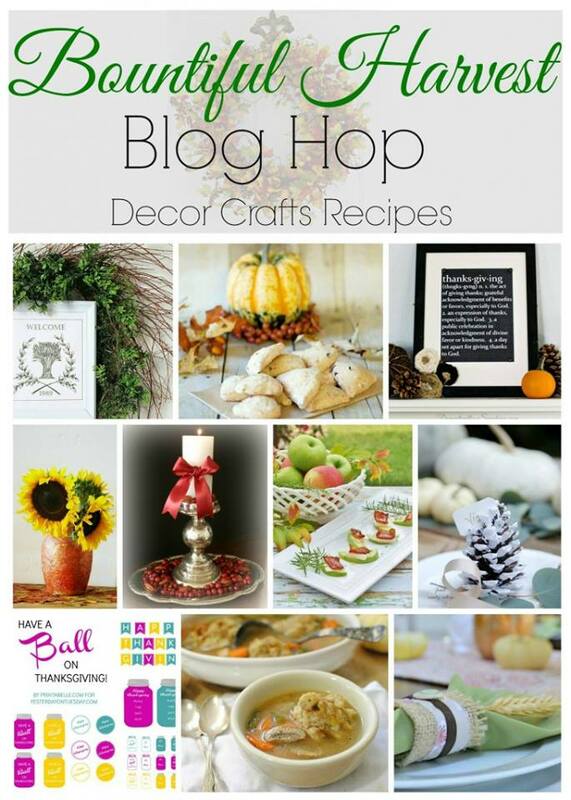 Also see the Bountiful Harvest blog hop with 10 sensational Thanksgiving DIY’s, crafts, decor ideas and recipes! Hang this beautiful DIY boxwood and framed printable wreath on your front door to welcome guests and family into your home for Fall! This is such an easy elegant handmade wreath to make …with lots of green faux boxwood layered over a twiggy wreath base and a framed wheat printable added on top! 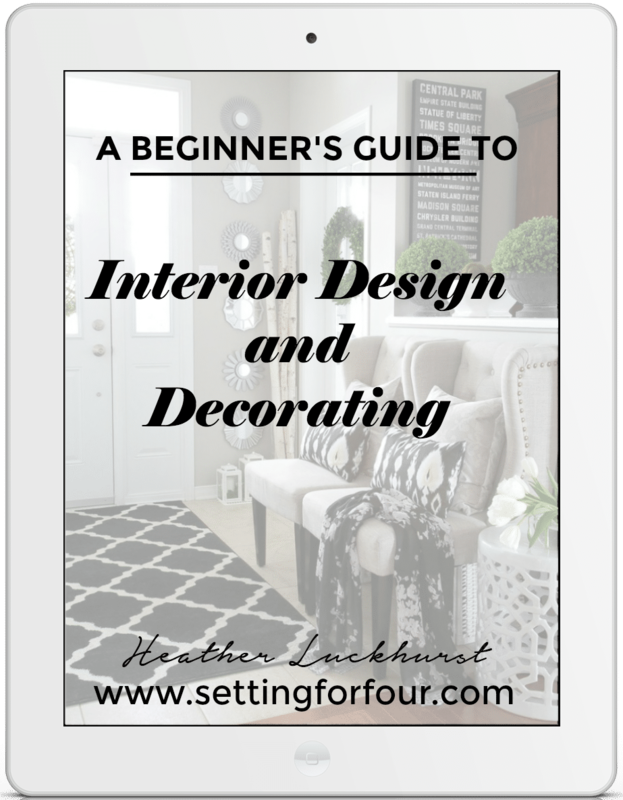 I’m showing you today how to make it! Now that Halloween is over I’m ready to hang a new wreath on my front door to celebrate Thanksgiving! 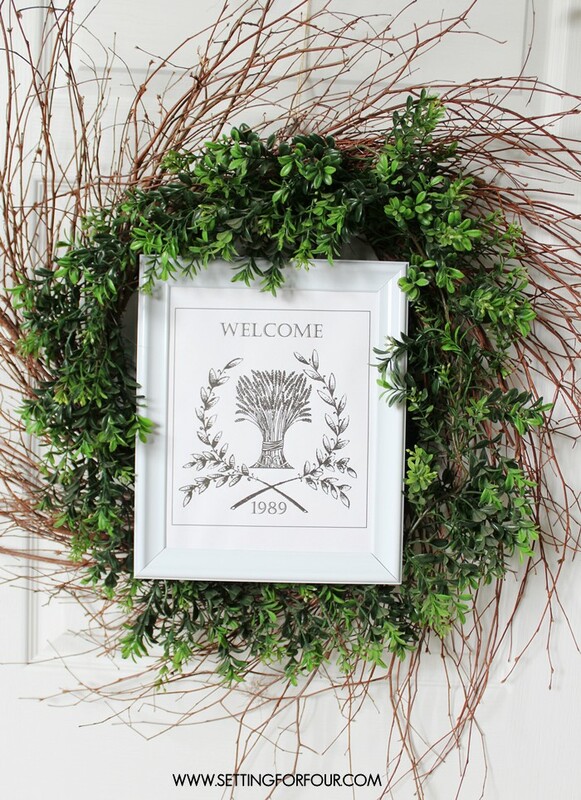 Just like the winter wreath I made last year – this wreath is topped off with an framed Welcome printable. This printable is one I adapted from the Graphics Fairy…I love the sheaf of wheat encircled by the leaves! 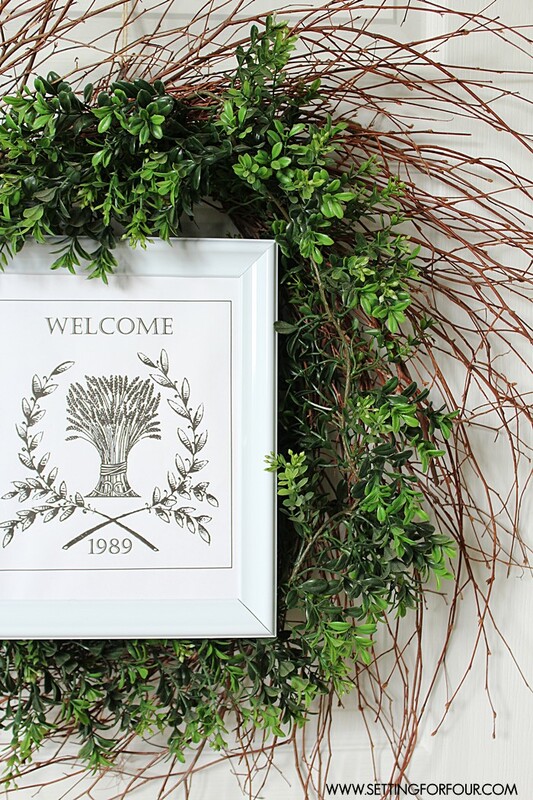 – Welcome Printable – I added the world ‘Welcome’ on top and at the bottom I added the year we were married, 1989 (yes we’ve been married 25 years now! What a milestone!)…. but you could use any year that has special meaning to you! 1. Secure the two faux boxwood garlands to the wreath with fishing line. 2. Add a piece of ribbon to the frame’s back to hang. 3. 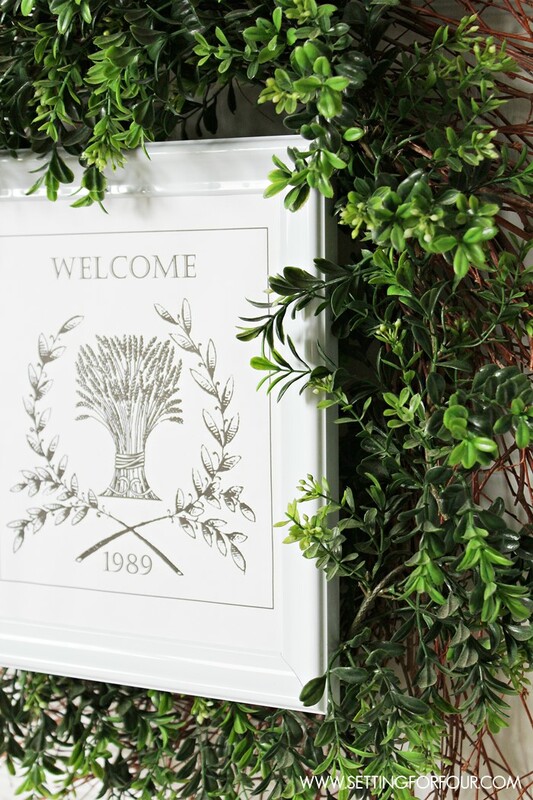 Print out this Welcome Printable to add to the frame. 4. Hang the boxwood wreath on a hook on your door. 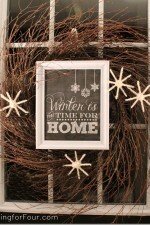 Hang the framed printable on top of the wreath using the ribbon on the back of the frame to hang it on the hook. Isn’t it pretty? I love it! My hear melts for boxwood! I’ll show it to you hanging on my front door in an upcoming post, coming soon! I hope you have fun browsing around these recipes and tutorials and get lots of great Thanksgiving inspiration! Love your wreath… cute printable too! Pinned! Thanks Maryann for you lovely comments and pinning! Thanks so much for the wreath inspiration and the adorable printable! Well thanks for the lovely comments Ashley and for pinning/sharing too! 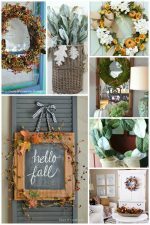 Such a pretty wreath and I love your printable! Such a pretty warm Welcome Heather. 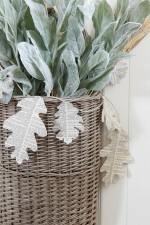 I love the wreath and printable. Thanks Debbie – I’m glad you like it! Beautiful, Heather! As always. You have amazing style. 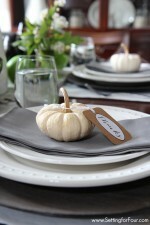 Soo cute- loving this idea! Hi Lisa!! You can download the printable and upload it into a photo editing program, erase ‘1989’ and add your own year in the font you’d like! You can do it in PicMonkey (free!) if you have that program! 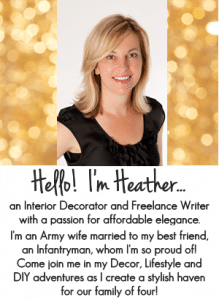 This is really beautiful, Heather! I love the printable you chose. Thanks so much Jennifer!! It really looks so welcoming on our front door!! Thanks Heather – it does look so pretty on our front door! Glad you like the printable too! 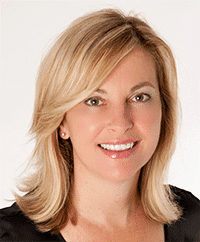 Thanks Katie – I love boxwood so much! Beautiful wreath & print! Love it. Glad I found you on the Whimsy Wednesday link party 🙂 If you get a chance, I’d love it if you stopped by my blog when you have a minute. Have a lovely day! Thanks for sharing where you found my wreath at!! What a lovely wreath! Visiting from the creative collection link party. I’m glad you like my wreath and thanks for visiting Aimee! !